Provide high quality cost effective healthcare services. Strengthen relationships with physicians, employees, and the community. This year we’ve had several wonderful reasons to celebrate with the completion of the new Sports Medicine & Rehabilitation Center, the increasing number of providers at the Specialty Clinic and new robotic-assisted surgical system for knee replacements, and construction of the new Outpatient Surgery Center. The one reason this is all possible, and is the one that has kept us going since we opened our doors in the 1920s: our employees. Whether it’s the receptionist that offers you a comforting smile or the physician that takes time to listen, every single one of the team members bring their best to provide our community the healthcare they need and deserve. 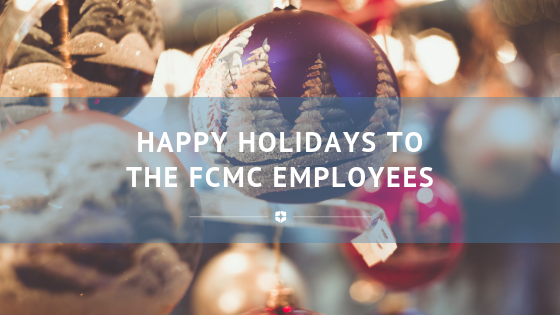 Happy Holidays and thank you for everything you do in providing hospitality and excellence to our patients.